← six women vs. the aau. guess who won? You wake up. It’s cold. You turn on the news. Why do you always turn on the news? You go to make oatmeal. After 61 years of Quaker Oats, Mo has bought you an organic brand. Fortunately it still comes in a round cardboard box, just in time to allow you to play Little Drummer Boy for Christmas. You try it. It tastes like oatmeal. You put on the shorts with the unfortunate hole in them. A run around the soccer park. Elitist kids in $200 soccer shoes. Screaming parents. A husky who wants to pee on your leg as he prances to the dog park. Another day of things not feeling right. Is it your body? Is it the world? If bad things happen to good people and good runs happen to bad people then why do we persevere? What’s the point? The run is a 2.6 mile loop. You try to figure out in your head how many loops you would have to do for a marathon. Too complicated. You give up. Because giving up is what you do. You stop on the way home and buy a donut. Because you no longer care. And if you don’t care, you might as well have a donut. You check on Sandra Vi’s run. She’s finishing around 1 a.m. Sunday in New York. In a city focused on 26 miles, she’s running the last of 54 days across America, somewhere around 55 miles a day. Nobody cares. You give a silent cheer. You go to work. You feel the 2.6 miles in your legs. How is that even possible? You consider taking the stairs up the eight floors. But there are six elevators and you would hate to disappoint them. You work for nine hours, churning out newspapers somewhere in Palm Springs and New Jersey. Is New Jersey even a real place? It’s a slow news day. That’s a good thing. Too much calamity in the world. A Dr Pepper, a vending-machine burrito, a promise to start eating healthy tomorrow. Or maybe 2018. Isn’t that coming up soon? You go home. You start thinking about the next run. Do they play soccer on Sundays? Will the marathon be on TV? Is Char OK? Are any of us? But, of course, there is never change. And there’s the whole stairs vs. elevator dilemma you would have to revisit. Revolution is complicated. 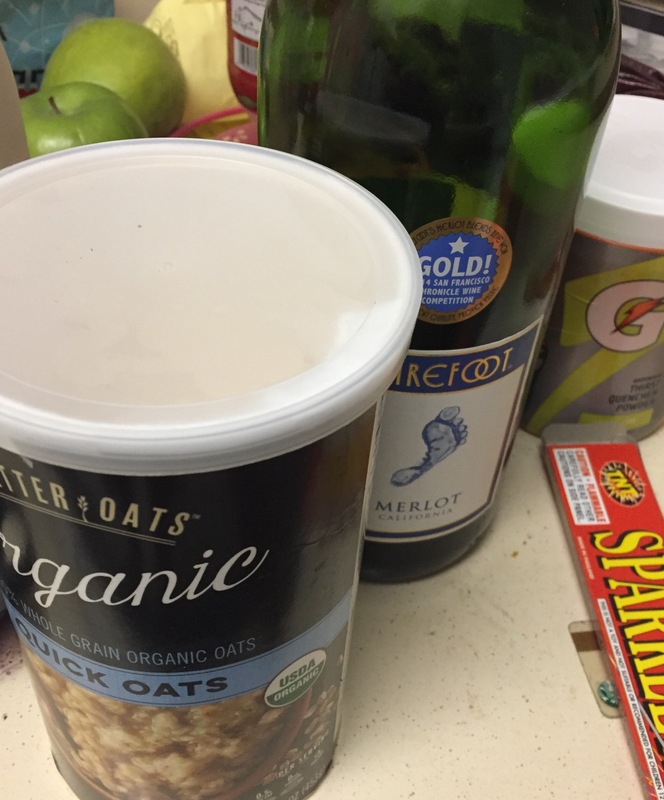 So you pour a glass of wine and settle in with another bowl of Fancy Organic Oatmeal (does merlot pair with oats?) to watch the last half of a Hallmark Christmas movie you hate. You hope there won’t be another shooting tomorrow. At least you know it won’t be in Texas. They have guns there. You go to sleep. You dream about a world where people don’t kill other people. Then you wake up. It’s cold. This entry was posted in picnic and tagged happily ever after, life, running. Bookmark the permalink.